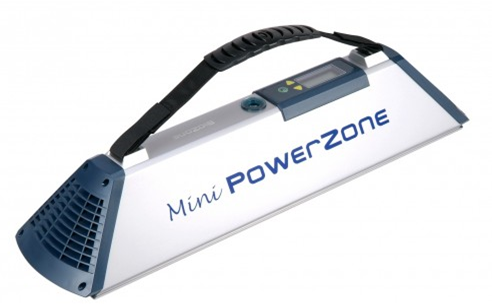 BioZone Mini PowerZone is for rapid decontamination of areas and where there are mid to high levels of microbial contamination. Can be fixed to a wall or easily carried around when and where needed. Cool Rooms and Cold Rooms (placed near the Forced Draft Cooler units) for the reduction of the build up of biofilm and mould. Low maintenance - a change of a UV lamp once a year when used continuously and depending on the amount of particulate matter within the room, an occasional dusting of the UV lamp. 20 + 8 = ?